Full-fingers protect your nails, while allowing good rope feel. 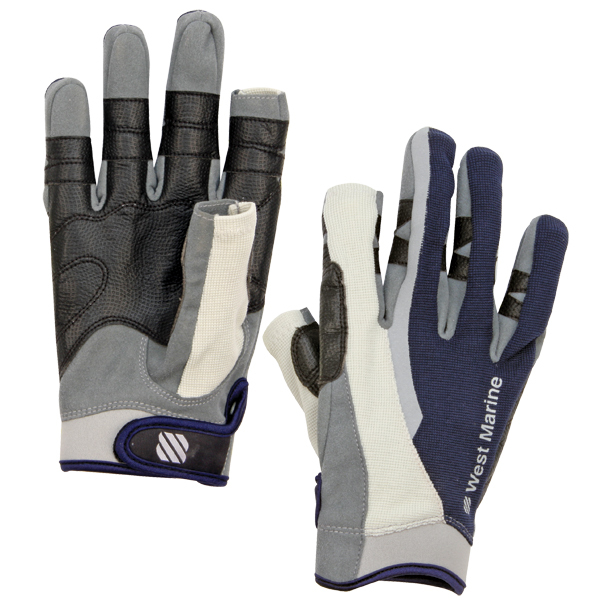 Our sailing gloves feature seamless finger construction to ensure longevity, grip and dexterity. Dura-Grip™ fabric on the palm and fingers provides incredible levels of grip. Pre-shaped V-cut construction fits your natural finger shape, and stretch fabric on the back maximizes comfort. Inside wrist closures and cutaway neoprene wristbands prevent the gloves from accidentally “false starting” the buttons on your stopwatch. The contoured fit makes these our most comfortable sailing gloves ever. Navy/Gray. Imported.